This all-instrumental recording features Wayne Erbsen on banjo, banjo-guitar, banjo-mandolin, fiddle, mandolin, guitar, David Holt on harmonica, jewsharp, bones, spoons, washboard, Bucky Hanks on rhythm guitar, Donnie Scott on Dobro, Bob Willoughby on bass. 45 minutes. 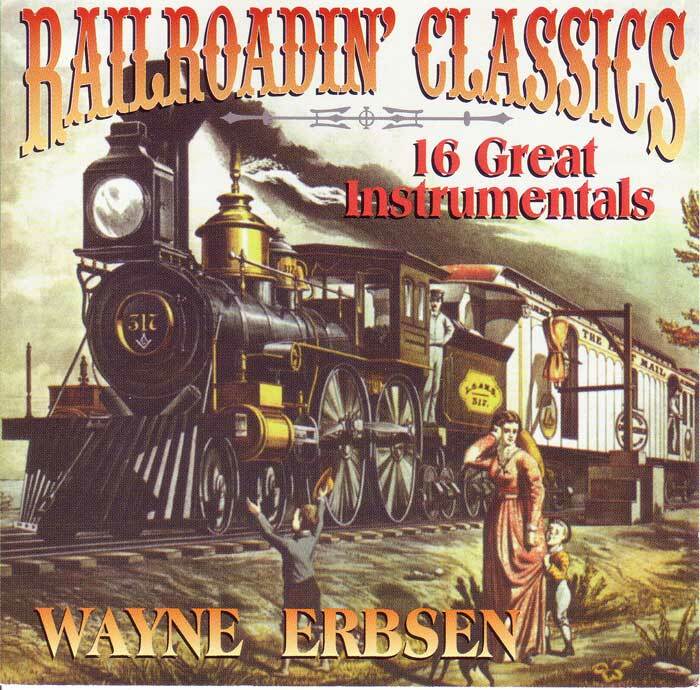 INCLUDES: Wabash Cannonball, Railroad Corral, Paddy on the Railway, The Lightning Express, Casey Jones, L&N Rag, Freight Train, New Lost Train, Wreck of the Old ’97, In the Pines, Kansas City Railroad Blues, On the Dummy Line, New River Train, Reuben’s Train, Lost Train Blues, Nine Hundred Miles. Be the first to review “Railroadin’ Classics” Click here to cancel reply.